Blatche, 32, appears to be in the best shape of his Gilas career that started at the FIBA World Cup in Spain in 2014. MANILA, Philippines — With a slimmed-down Andray Blatche, the plan is for Gilas to step on the gas and run Qatar to the ground when they face off in the sixth window of the FIBA Asia/Pacific Qualifiers in Doha on Feb. 21. 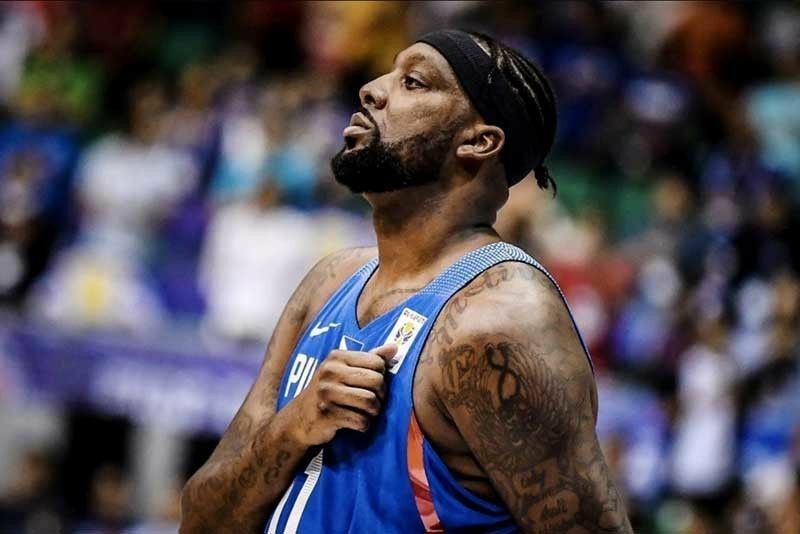 Blatche, 32, appears to be in the best shape of his Gilas career that started at the FIBA World Cup in Spain in 2014. He has a chance to lead the Philippines back to the World Cup this year but it will depend on how Gilas fares against Qatar on Thursday and Kazakhstan in Astana on Feb. 24. Blatche suited up for Gilas in six games over three windows in the Qualifiers as the Philippines posted a 4-2 record. He served a three-game suspension following the Australia brawl and wasn’t called up for Gilas’ contest against Iran. During the sit-out, the Philippines went 1-3 without Blatche. The national team left Manila for Doha yesterday. Blatche was scheduled to join Gilas in the Qatar capital this weekend. He was in Manila to practice for 10 days then left last Monday to play two games for his Chinese Basketball Association (CBA) team Tianjin Gold Lions. Blatche delivered solid numbers in the two outings but Tianjin lost both, 135-112 to Fujian and 106-92 to Shandong. He averaged 21.5 points, 8.5 rebounds, 4 assists and 34 minutes in the two contests, knocking down a total of 8 triples in 23 attempts. There was speculation that Blatche would slow down Gilas’ offense because he likes to find his spots in a deliberate half-court set. That’s how it usually was when he carried a lot of poundage. But now that he’s leaner, he’s quicker and Gilas won’t need to wait too long for him to establish position. It’s an adjustment that fits coach Yeng Guiao’s equal opportunity system predicated on motion. Gregorio said he anticipates no new players from Qatar. “Unless Qatar is hiding someone, we expect a core that will comprise the same players who played in Manila,” he said. “But in case, they do, we’ll be ready.” What will be new is Qatar’s head coach Panos Yiannara of Serbia. The Philippines has yet to play against Yianarra. When Gilas beat Qatar, 92-81, in the fifth window, the losing coach was the UK’s Tim Lewis. Last Friday, Gilas beat Meralco, 100-82, in a practice game at the Bolts stadium. R. R. Pogoy, who will end his FIBA suspension after the Qatar game, shot 21 points and Marcio Lassiter 14. Fajardo contributed 13 points and Troy Rosario 10. Paul Lee sat out the tune-up to rest his bruised knee. Against Kazakhstan, Guiao is expected to include Pogoy in the 12-man roster, meaning he’ll strike out one player from the lineup in Qatar.